The Law Offices of Jack L. Moser, Jr., offers full-service family law and domestic relations representation. We understand that a family law matter can overwhelm almost every client that needs legal help in a domestic relations case. Our firm works closely with our family law clients and we guide them through the legal process as their case progresses. An arrest or citation for a Felony or Misdemeanor offense in Ohio is a serious matter. If you have been arrested for a misdemeanor or felony criminal offense, you have a right to a criminal law attorney and criminal defense lawyer; as well as a right to a fair and speedy trial. Never defend yourself, always use an experienced and knowledgeable criminal law attorney and criminal defense lawyer. If you or a member of your family suffers from a serious injury as the result of someone else's negligent conduct or deliberate wrongful action, you may be a candidate to file a personal injury claim in Ohio. You need skilled, experienced, and aggressive personal injury help immediately - help offered by the knowledgeable and qualified attorneys at the Law Offices of Jack L. Moser, Jr. The lawyers and attorneys at the Law Offices of Jack L. Moser, Jr., are experienced, accessible, and we provide serious aggressive representation to all of our drunk-driving, OVI / DUI, and motor vehicle traffic offense clients. Our drunk-driving lawyers and OVI / DUI attorneys are committed to protecting the rights of the accused while defending each and every drunk-driving, OVI / DUI, or motor vehicle traffic offense case. 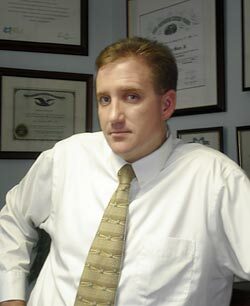 The Law Offices of Jack L. Moser, Jr. also concentrates on the area of general business law. In the competitive business markets of today, your company needs innovative, responsive, and accessible legal counsel. The attorneys, lawyers, and staff at our offices can help your business reach its goals by providing prompt and knowledgeable answers to all of your business problems. Our business lawyers and litigation attorneys at the Law Offices of Jack L. Moser, Jr. handle many types of general civil claims including contract disputes, real estate, business, construction disputes, claims between individuals, and claims for personal injuries. We also are well versed in alternative methods that are results oriented to resolving problems, such as negotiation, mediation, and arbitration. Thank you for taking the time to review our site. We look forward to meeting with you about your case and discussing the issues that matter to you most. Our attorneys, lawyers, and staff take the time to understand each of our client’s unique needs and interests, and we can do the same for you. To speak with our lawyers or schedule an appointment, call (614) 478-8005 or send us an e-mail using the contact form above.